It has now been made known that the Air Peace Airline tops the list of delayed flights among the domestic airline operators in Nigeria, as it recorded the highest number of delayed flights in the first quarter of the year. 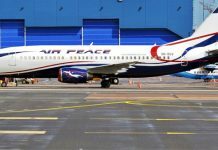 According to statistics released from the Consumer Protection Department of the Nigeria Civil Aviation Authority (NCAA)which was made available to Aviation Correspondents on Monday, Air Peace had 2,901 delayed flights with 59 cancelled flights out of 5,066 flights it operated from January to March this year. The statistics released by the NCAA showed that 14, 633 flights were operated by eight airlines during the period under review, while 208 flights were cancelled for various reasons. 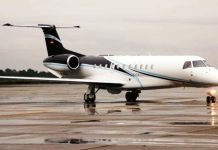 The official record shows that domestic airlines operating in Nigeria recorded 8,825 case of flight delay from January to March, and listed the airlines in operation as Aeno Contractors, Arik Air, Air Peace, Azman Air, Dana Air, First Nation, Med-View and overland Airlines. The release also affirmed that Arik Air followed with 2,322 delayed flights and 56 cancellations out of 3,972 flights while Dana Air operated 1,726 flights with 1,043 cases of flight delay and one cancellation. The document stated that Azman Air recorded 792 and 23 delayed and cancelled flights respectively, out of 1,140 flights it operated during the period. According to the record, Med view Airline Operated 894 flights with 632 delayed flights and 15 cancellations; Overland, 614 flights with 484 delayed and 12 cancelled; while First Nation had 359 flights with 101 delayed and three cancellations. Meanwhile, stakeholders have expressed hope that the installation of new navigational aids approved recently for procurement by the Federal Executive Council (FEC)will go a long way to reduce cases of flight delay and cancellations.